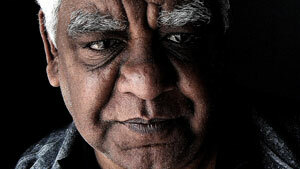 William Tilmouth was born in Alice Springs and is of Arrernte descent. A member of the stolen generations, William was taken to Croker Island where he lived and attended school with many other children sent there as a result of Government policy of that era. Hello, and thank you for visiting us. As an Aboriginal man I have lived through the most devastating policies of our nation, and watched many of my own family members die and suffer from the lack of fundamental human rights and basic respect. I have led key organisations over the past 20 years, attempting to work within a system that has been unable to secure the change we need. I am watching my grandchildren live the consequences of the legacy of our history. I have an absolute resolve that radical change is needed and that Children’s Ground provides the model, approach and ability for that change to occur. Our vision is not only for Aboriginal and Torres Strait Islander peoples, but for all Australians. Children’s Ground will deliver the very best to those who need it the most, and secure the fundamental rights of the child, the family and the community, wherever intergenerational inequity pervades. Children’s Ground holds the rigour of an evidence based outcomes approach, with the integrity of community led vision and knowledge. We invite individuals, communities, Government, business, philanthropy and the not-for-profit sector to join us, as this is an ambition that requires a commitment from many. Together we can create lasting change. Children’s Ground is a blueprint on how you can invest in real opportunity for Aboriginal communities, rather than provide charity. By celebrating and engaging with people’s aspiration and ability, and respecting their cultural, economic and social rights we will create real community ownership and participation, real community empowerment and equity. We are bringing together the wisdom of our knowledge systems that have been refined for over 50,000 years, with leading international practice to create a dynamic, exciting era of change. We look forward to sharing with you our vision, our approach and a very real opportunity to redress inequity and economic poverty in Australia.